The Armstrongs knew they had something special when they purchased their 150-acre farm near Bedford in 2013. As longtime cattle and grain farmers, Alan and Sharon saw it as an opportunity to extend their operation. But they saw something else, too. The Armstrongs, along with daughter Ashley and son-in-law Heath Prince, took that inspiration to establish The Loft at Walnut Hill Farm. 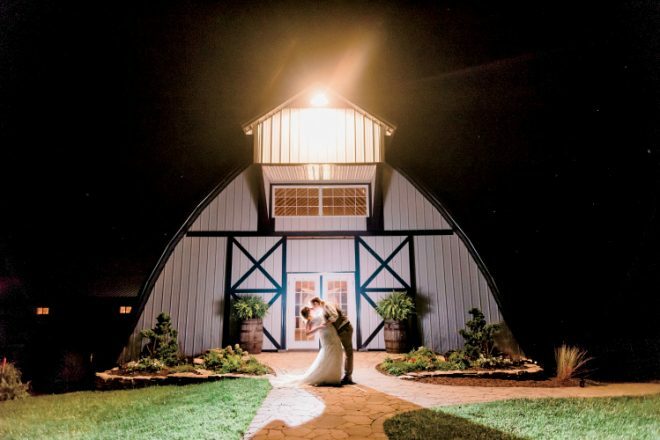 They renovated a dilapidated 70-year-old Dutch hoop barn to create a magnificent ceremony venue. They turned a swine-farrowing barn into a kitchen, restrooms and dressing room facility. To accommodate large receptions, they built a pavilion. Since opening in 2014, the picturesque 10-acre site has hosted nearly 100 weddings. With the other 140 acres continuing to be used as a cattle farm, couples enjoy saying their vows just beyond the cows. Cindy Cosgray describes her family’s venture into the wedding business as “a total accident.” Her husband Mark comes from a long line of grain and cattle farmers. In fact, Mark’s grandfather had once owned much of the 200-acre Christmas tree farm the Cosgrays purchased in 2012. After buying the farm, she explains, they hired two brothers to help with the work. 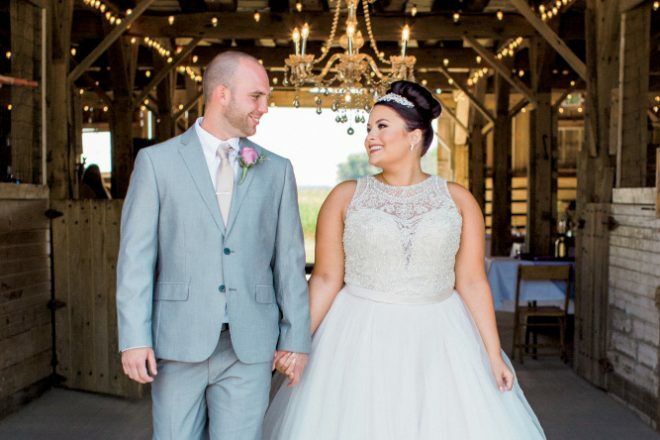 One of them asked if he and his fiancée could get married on the property, and three months later their wedding was held at Cosgray Christmas Tree Farm in Idaville. That first wedding “made me realize that this is what we were supposed to do on the farm,” Cosgray says. Not only was the outdoor space picturesque, but also there were buildings on the property that the Cosgrays felt had potential to serve as wedding venues. 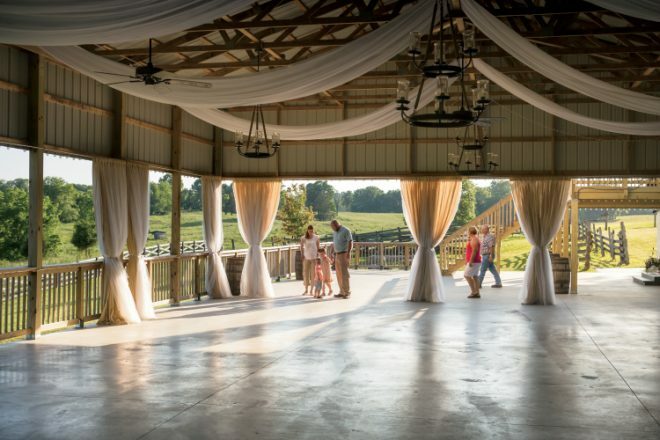 “The property had previously been used for fall festivals, so there were some areas that we could envision working well for wedding ceremonies and receptions,” she says. The Cosgrays made it happen, creating bench seating, planting gardens and adding steps, pavers and a sound system. “The oak trees grow in a V shape, which creates perfect shade in the seating area,” Cosgray says. Other buildings on the property were renovated so there were spaces to host the bridal party before the wedding and the reception afterward. 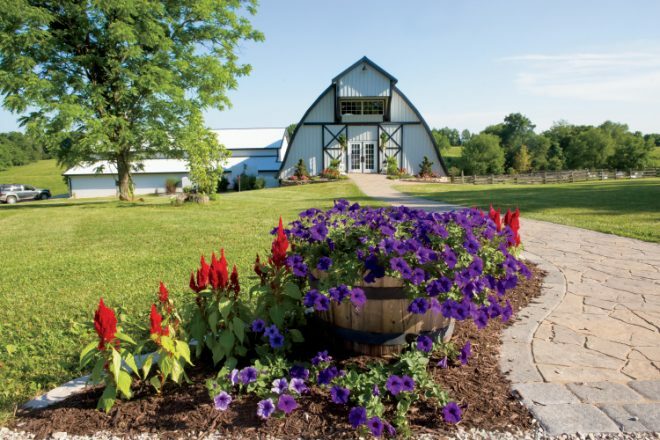 A Dutch Hoop Barn is the main venue used for wedding ceremonies at The Loft at Walnut Hill Farm in Bedford, Indiana. The Armstrongs and Cosgrays are among the growing number of enterprising farm families filling this nuptial niche while establishing an alternative revenue stream. 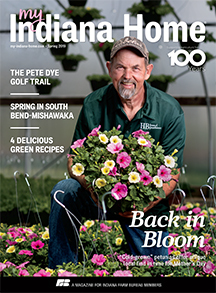 Others include Boondocks Farms just outside Knightstown, Heritage Farm in Flora, and The Barn on Boundary in Eaton. Entrepreneurial farmers aren’t the only ones who benefit. Area brides and grooms couldn’t be happier. Not only do they love the breathtaking views and rustic elegance the rural venues provide, but they also like the convenience of having the wedding and the reception in the same place. Plus, couples appreciate the flexibility to plan a wedding that matches their style.